(Jan. 21, 2008) After a year of jumping legal hurdles, the Partido Ecologista (or Green Party) was recognized on Jan. 11 in the El Diario Oficial, the official government registry. Led by Universidad de Concepción political scientist Félix González, the party will be formally introduced to the public this week. Well-known environmentalists Sara Larrain, director of Chile Sustentable, Ecology Policy Institute director Manuel Baquedano and Renace National director Isabel Lincolao also joined González in forming the party. These older activists will take on a supporting role in the party, but want a new generation to step into leadership roles. During a meeting last week with Chile’s Secretary General José Viera-Gallo, the directors of the new party introduced a 10-point list that will define the party’s relationship with the government. The list, known as the “Chagual Agreement,” outlines promises made by Michelle Bachelet to the green movement when she was running for President in 2005. Bachelet signed the agreement during her campaign. “We have restated our intention to respect this agreement,” Viera-Gallo told the Chilean daily La Nación. The new party will not align itself with either the center-left governing Concertación coalition or the rightist opposition Alianza. In past elections, environmentalists have aligned themselves with the Concertación, but recent decisions by Bachelet’s government led them to disassociate themselves from the established blocs of Chilean politics. During the Wednesday meeting at La Moneda, González outlined “two critical points” connected with the Chagual Agreement that trouble environmentalists. The first was the Zanelli Commission, a body created to study the possibility of developing nuclear energy in Chile. The environmentalists claim President Bachelet promised not to consider nuclear energy when she signed the agreement. Secondly, González said that the government has not made a decision on the labeling of genetically-modified foods. Viera-Gallo also tried to pacify the Green Party’s worries by comparing the US$200,000 the government gave to the Zanelli Commission to the more than US$6 million in direct subsidies it has given to renewable energy through Corfo (the Corporation for Development of Production). González explained to the Santiago Times that the Green Party is necessary because a “cultural change” is taking place in Chile. He argued that people are becoming more concerned about how environmental issues affect them, which allows his party to propose new topics. In order to get its message out, the party plans to use “alternative media” that is not owned by interests that can influence the way news is written. González also said the party will form part of the growing international fight against the HydroAysén project. He described environmentalists’ efforts to thwart the dam initiative as “the mother all battles” because they are up against three industrial giants: Colbun, ENDESA and Transelec. If approved by the government, HidroAysén’s multi-dam project could generate as much as 2,750 MW of electricity, roughly equivalent to about 20 percent of Chile’s current generating capacity. The project, slated for the region’s two largest rivers – the Baker and the Pascua – has an estimated price tag of US$2.5 billion. That figure does not include an additional US$1.5 billion likely needed to build a 1,200 mile transmission line between southern Region XI, an area also known as Aysén, and central Chile, where the electricity would be consumed. HidroAysén is still working out details with Transelec, a Canadian-owned electricity transport company, over the costs and route of the extensive line. The party plans to run candidates in October’s municipal elections, hoping for five percent of the vote. 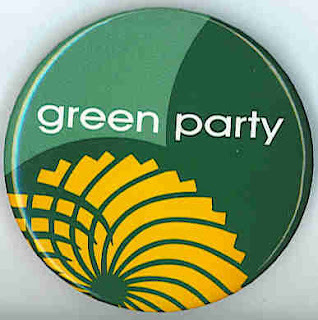 According to their website, before being legally recognized in Chile, the party was incorporated into the International Green Parties, through the Federation of Green Parties of America. The party has been an active member of the Federation for four years.